If you think a loved one has a drinking problem, you may want to help but don’t know how. You may not be sure it really is a drinking problem. Or, you might be afraid that your loved one will get angry or upset if you say something. If you are concerned, DO NOT wait to bring it up. The problem is likely to get worse, not better, if you wait. When is Drinking a Problem? Start by learning all you can about alcohol use. You can read books, look online, or ask your health care provider for information. The more you know, the more information you’ll have ready to help your loved one. Alcohol use takes a toll on everyone. You can’t help your loved one if you don’t take care of yourself and get support. Make your family’s health and safety your top priority. Ask other family members or friends for support. Be honest about your feelings and tell them what they can do to help. 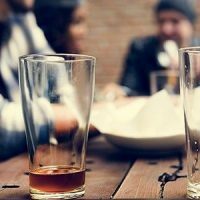 Consider joining a group that supports family and friends of people with alcohol problems, such as Al-Anon. In these groups, you can talk openly about your struggles and learn from people who have been in your situation. Consider seeking help from a counselor or therapist who deals with alcohol problems. Even though your loved one may be the drinker, drinking affects the entire family. It is not easy to be involved with a person who has a drinking problem. It takes a lot of patience and love. You also need to set certain boundaries for your own actions so you don’t encourage the person’s behavior or let it affect you. DO NOT lie or make excuses for your loved one’s drinking. DO NOT take on responsibilities for your loved one. This will only help the person avoid consequences for not doing the things they should. DO NOT drink with your loved one. DO NOT argue when your loved one has been drinking. DO NOT feel guilty. You did not cause your loved one to drink, and you cannot control it. It’s not easy, but it’s important to talk with your loved one about the drinking. Find a time to talk when the person is not drinking. Express your feelings about your loved one’s drinking. Try to use “I” statements. This helps keep the focus on how the drinking affects you. Try to stick with the facts about your loved one’s alcohol use, such as specific behaviors that have you worried. Explain that you’re concerned for your loved one’s health. Try not to use labels like “alcoholic” when talking about the problem. DO NOT preach or lecture. DO NOT try to use guilt or bribe the person to stop drinking. DO NOT threaten or plead. DO NOT expect your loved one to get better without help. Offer to go with the person to see a doctor or addiction counselor. Remember, you can’t force your loved one to get help, but you can offer your support. It may take a few tries and several conversations before your loved one agrees to get help. There are many places to get help for an alcohol problem. You can start with your family health care provider. The provider may recommend an addiction treatment program or specialist. You can also check with your local hospital, insurance plan, or employee assistance program (EAP). You can play an important role by continuing to show your support. Offer to go with your loved one to doctor’s appointments or meetings. Ask what else you can do, such as not drinking when you are together and keeping alcohol out of the house. If you feel that your relationship with this person is becoming dangerous or is threatening your health, get help for yourself right away. Talk with your provider or a counselor. El tiempo primaveral puede ser impredecible. Cuando el tiempo severo aparece inesperadamente, el riesgo de lesiones y muerte aumenta; por lo tanto, tiene sentido planificar. Prepárese para las tormentas. Infórmese con los datos sobre la sífilis y sepa qué puede hacer para protegerse. ¿Se ha preguntado cuáles son sus probabilidades de contraer una infección por hongos? A CDC food safety alert about a multistate outbreak of Salmonella infections linked to frozen, raw ground tuna has been posted at https://www.cdc.gov/salmonella/newport-04-19/index.html. A CDC investigation update of a multistate outbreak of E. coli O103 infections has been posted https://www.cdc.gov/ecoli/2019/o103-04-19/index.html. 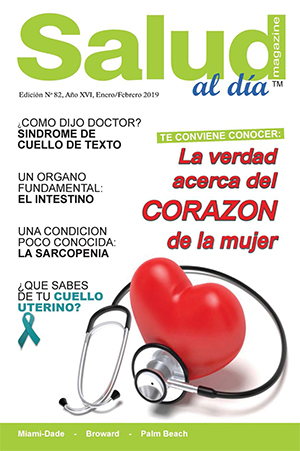 © 2019 SALUD al dia magazine. All rights reserved. 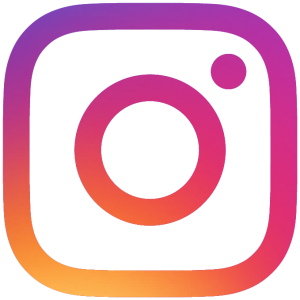 Even most of the information provided in this website comes from authoritative sources, it is not meant to replace the advice and/or treatment of your healthcare provider.